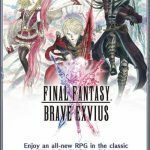 Did you enjoy our Final Fantasy Brave Exvius ultimate guide? 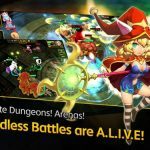 As this is quite an in-depth, extensive, and believe it or not, free Android and iOS game from Square Enix, that required a ton of tips and tricks, but we’re not quite done with helping you out here. You may remember that we briefly mentioned Lapis, which is the game’s premium currency, as to Gil, which is the game’s common currency. And you may have realized that we didn’t touch on Lapis except for that one token mention. Well, we did that on purpose, as in this game, there are several ways in which you can earn more Lapis without having to spend a single cent of your real-world dough. Having said that, we shall now be cutting to the chase, as we bring you our next Final Fantasy Brave Exvius strategy guide. This one’s going to be shorter, that’s for sure, but we shall still be detailing all the ways in which you can earn more Lapis even if you don’t pay for it with real money. This is quite an easy way to earn Lapis, if you come to think of it – we’re sure you’ve collected at least some of it at this point, because ranking up will earn you more of the premium currency. To be specific, it’s 100 units of Lapis for each time you rank up, but apart from that, you can also earn Lapis by simply completing the battle quests. Not only do these quests earn you more XP, they can also earn you more premium currency, so keep playing the game’s main campaign as you normally would. Aside from the main battle quests, you’ve also got your daily quest, and in an interesting case of quest-ception, one of them simply involves completing all the other dailies given to you for the day in question. Completing all of your dailies will earn you 50 Lapis units, which isn’t much as compared to what you’d earn via other means, but that could add up real quick if you play this game on a daily basis. Here’s another reason why you’ll want to log in to this game at least once a day – the daily login bonus. Although it won’t be much at first, as you’ll only earn some Gil and some less attractive rewards during the first few days of the week, you will get Lapis for every five days or so that you log in consecutively. The Trophies section will show you a list of achievements which you can complete in Final Fantasy Brave Exvius. 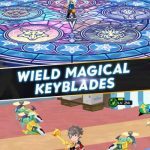 So how do the trophies work, beyond what we told you in the ultimate guide? Each trophy, for starters, comes with three tiers – bronze, silver, and gold – and your reward tier will depend on how well you did in completing the requirement. Reaching the gold tier will earn you a good amount of Lapis. But that’s not all that’s in it for you when you collect gold trophies in the game; with each gold trophy, you’ll come closer to unlocking the Trophy Reward chest. That would usually come with a crafting recipe inside, or anything else that will serve you well in the heat of battle. Sometimes, you’ll reach the last story quest at the end of a zone, and upon completion, you will be rewarded with 100 Lapis if you beat it for the first time. Yes, this all boils down to focusing on the main storyline, but it’s better than no way of earning Lapis at all; besides, you do get to rank up faster as you keep on playing the story quests. This may be the best reason for you to stop dilly-dallying and download Final Fantasy Brave Exvius now. 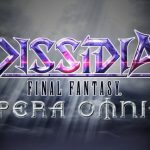 As this is a brand-new title, Square Enix is hosting server events, and giving out free Lapis simply for signing in during the designated period. The company even gave out free Lapis as a goodwill gesture due to its servers being down for a day! Launch bonuses come only once, so go download the game if you’re interested in it and hoping to get some premium currency right off the bat.